When you have such an outburst of “convenient” or “quick-fix” food solutions being dished out into the market targeting younger kids, getting your child to eat healthy can be a major challenge. To make things worse, with both parents having jobs with crazy schedules leaves very little time to effectively manage your child’s nutrition in the best way. That being said, making the switch to healthy food for child and a nutrition-oriented diet can have a comprehensive effect on a child’s quality of life. A lot of kids today face problems with poor focus, mood swings, low energy, and low immunity leading to a string of diseases and even psychological issues. By instilling the habit of eating healthy at a young age, you give the child a compelling edge over peers and position them to face the growing challenges of life. Good food doesn’t just help you stay fit and healthy; it gives you a positive state of mind. This enables them to evolve as confident and healthy adults. The most important thing to understand here is that kids don’t originally crave for nothing but candy, fried chicken, soda, and fries. They developed these cravings as a consequence of their environment, the environment that YOU provided. Practice What You Preach – There’s no use stressing on healthy foods for kids until you provide something to emulate. Children are like sponges. The strong influences for a child are their parents. You can teach them and force feed them all you want. But don’t expect them to eat their vegetables while you devour your bag of potato chips. Be a Role Model! Everyone wins. Get Them Behind the Scenes – This is a positive education system in itself. Take your child when you go shopping for groceries and bring them into the kitchen when food is being prepared, and involve them in the process. While they are there, talk about how each ingredient adds value to the meal being cooked, its health traits, and how it adds energy to your body. Children get hooked to a good narrative. It’s tough to make healthy eating a habit, but easier to make it part of their culture. Provide Easy Access to Healthy Snacks – Don’t give your child the opportunity to go out of the house to eat something. Make healthy snacking options accessible to them at home. Stock the fridge with chopped and slightly salted veggies like carrots and cucumbers, fresh fruit, and fruit juices. Train the Taste – Give your child variety in healthy eating options. Build the taste for food that is as close to their natural form as possible. 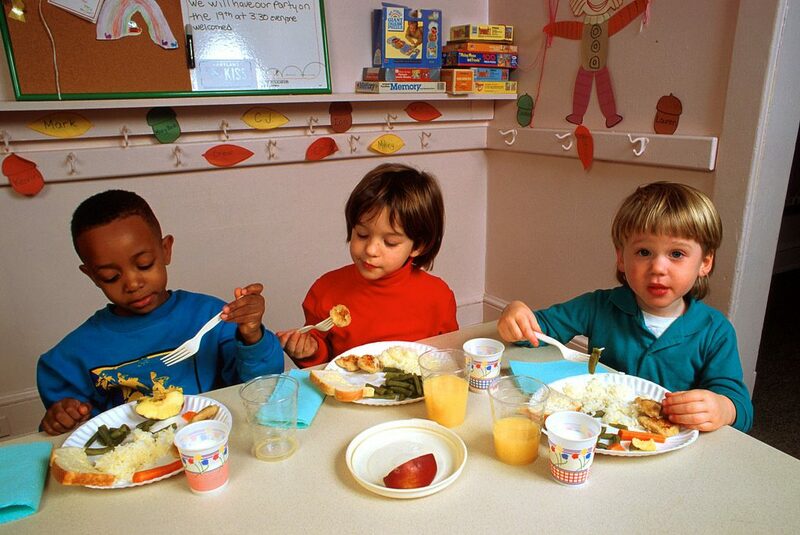 The taste of processed and canned food is addictive, especially for children. It’s not easy, but try avoiding it as much as possible. Hide in Plain Sight – Adopt the principle of incremental nutrition. You don’t have to “task” your kids with the chore of eating their veggies. The trick is in the presentation. You can always add your vegetables into some beef stew, slice fruits up and layer them with a sweet caramel dip. Keep it Personal – With your crazy schedule, it’s not always easy to fit cooking time in everyday. That doesn’t mean you have to opt for take-out food every other day. Instill the culture of eating meals from home. You can cook food in large batches and refrigerate it so it lasts a week. You can mix it up with small additions every day at home. These are just some of the health tips that could help grow a positive and healthy food culture in your kids in their most crucial developmental years.